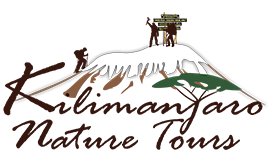 You will be met at the International Airport of Kilimanjaro by your driver/guide and our representative; we will take you for accommodation at Charity Hotel, Our safari manager will come to meet you and to provide you with a safari briefing. Accommodation will be on half board. Accommodation & Meals: Octagon camp site, B, L, D.
After breakfast you will drive for Serengeti with lunch box (enrooted game drive), evening game drive in Serengeti, in search of large predators and gentle herbivores in which they feed. Accommodation & Meals: Seronera Campsite, B, L, D.
Today you have full day game drive of Serengeti; your driver guide will take you out far way looking for Serengeti Great Migration. Can also expect to see lions, elephants, giraffes, zebras, monkeys, baboons, hippos, rhinos, antelopes and many birds and other species. You will have lunch there and come back to the lodge in sunset time. Today after early breakfast you will drive to Ngorongoro then you will descend into the crater for a wonderful game drive (with a picnic lunch) inside the Ngorongoro Crater considered as an UNESCO World Heritage Site. As very few animals migrate in and out of the crater with its 2000 ft. high walls the Ngorongoro Crater has the highest wild animal density worldwide. Among the species are lions, elephants, giraffes, zebras, hippos, flamingos, jackals, rhinos, antelopes, many birds and other species. You might expect to see the ‘Big Five’ in one day. Accommodation & Meals: Simba Campsite, B, L, D.
Today after breakfast you will drive to Arusha for hot lunch then later on the day depend on your flight schedule you will get transfer to Kilimanjaro Air Port to catch your flight back home.